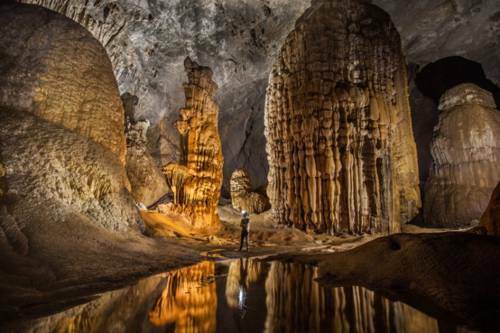 The largest cave in the world is so large that it has a river, forest and climate of its own! Caves have always been a mysterious wonder. Looking at them, one feels drawn by what might lay ahead. Needless to mention we have found some great things inside the caves for several years. Most of the caves in the world are carved by flowing water; but sometimes they might also be carved out of volcanoes, Earthquakes and spot zones. 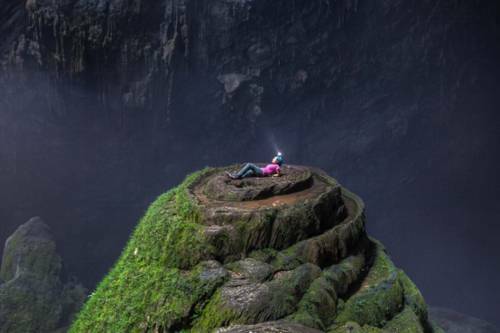 Talking about caves, the Hang Son Doong cave in Vietnam is regarded as the largest one in the world. It has a width of 150m, a length of 5km and a height of 200m. 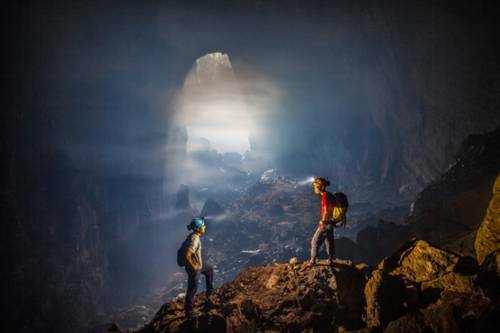 Make no joke about it– this cave is so big that it actually has its own climate and ecosystem and also a river! It is known to be around 2.5 million years old! Tourists visit here quite often with a company called Oxalis. Traveling here too is no meager expense, as it costs around $3,000 to visit this place. With this arrangement, the tourists will be provided with all the necessary equipments and they will be guaranteed full security and a great tourism experience. The cave was discovered in the year 1991 by a local farmer who accidentally landed there and had to take shelter from a storm. He was so fascinated by the cave that he went there again to find it, yet he was unable to until a group of cavers helped him out. Then there was a colossal network of tunnels discovered under it in 2009. Since then it has been officially named as The Largest Cave in the World. This dense cave now hosts varieties of flora and fauna inside it including insects, rare birds like short tailed scimitar babbler, chestnut necklaced partridge, bats, flying foxes, monkeys, bats and snakes of various sorts. There are also numerous butterfly species and some species of animals which have not even been discovered yet! It is so huge that it will fit a 40 storey skyscraper and even house an entire block inside it! You sure wouldn’t want to be lost down there. Next articleThe Basenji Dog Is The Only Dog That Is Not Able To Bark.